Metalguard is a metal building and steel repair company. 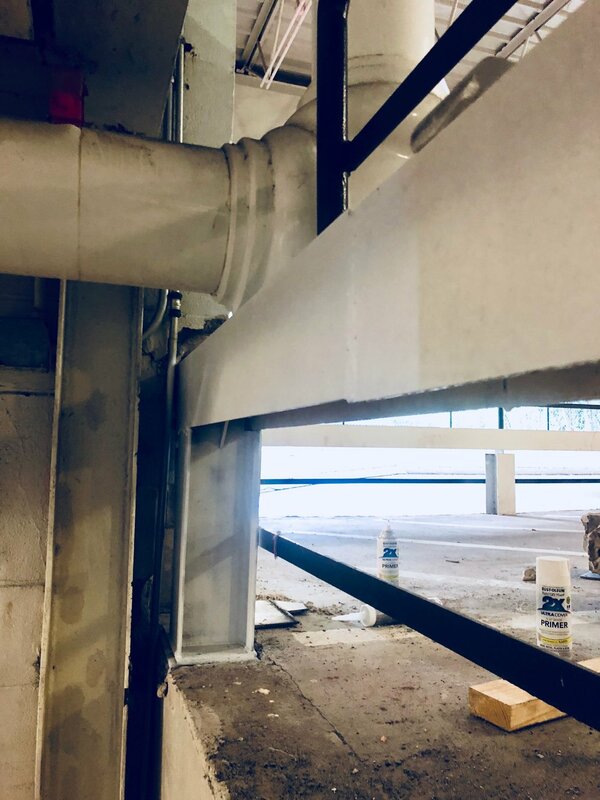 One of the many metal building renovation and repair services we offer is the repair of Column (s), I Beam (s), and Steel Repair. 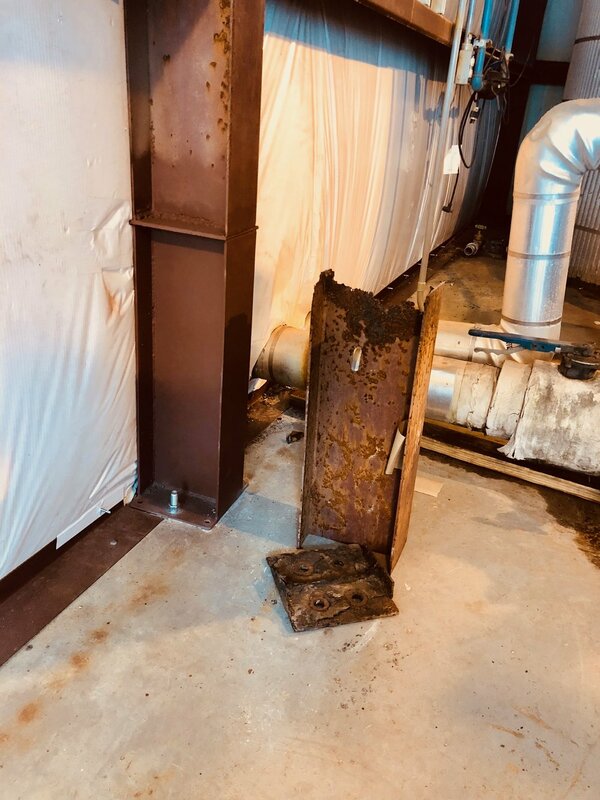 By this we mean heavier gage metal where a torch or plasma cutter is typically used to cut out damaged sections and new steel of the same thickness and profile is welded in its place. Above; This damage required the repair of this I beam by replacing it. After the I Beam was welded into place we primed and painted it. The web of the I Beam had a rusted thru hole. as did a smaller part of the flange. 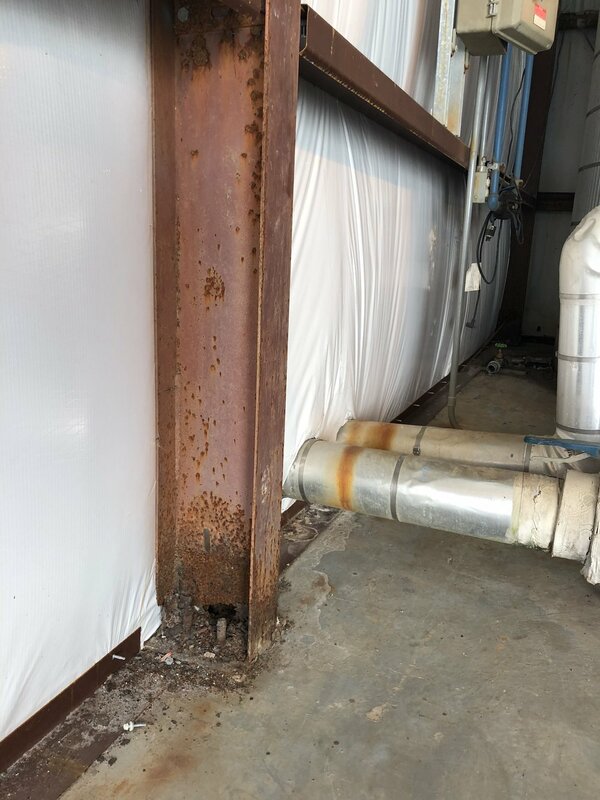 We cut out the damaged section, installed plates the the top to connect to the remaining portion of the I beam and welded a plated at the base that was secured to the concrete pad. The I Beam to the left show the old steel next to the newly repaired I Beam. The I beam has been flipped so it will stand on its own and the old plate is in front of it. We have repaired hundreds of these. This section of the overhead door was damaged, the wall panel, the trim, and the C channel Upright. We repaired the overhead door frame. 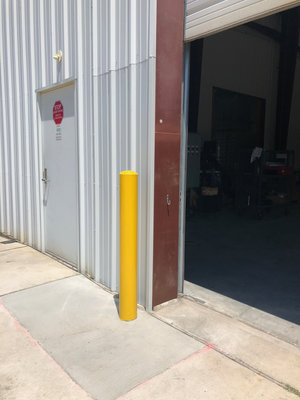 The bollard was also damaged. After the repair of the damaged overhead door frame, panel, and trim. We cut out the damaged Panel and trim sections and replaced them. Cut out the frame and welded new steel in place with a new base plate. We have repaired hundreds of there also, this is a very common problem. We also cut out the cement pad, replaced the cement and we replaced the bollard.